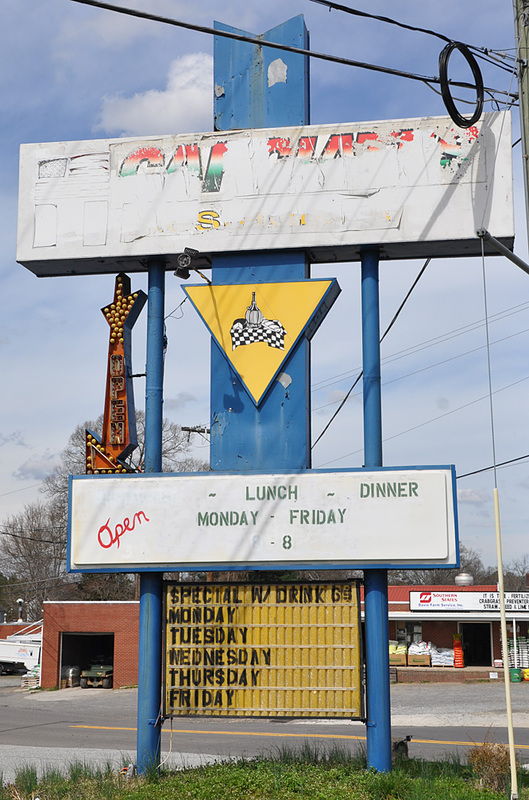 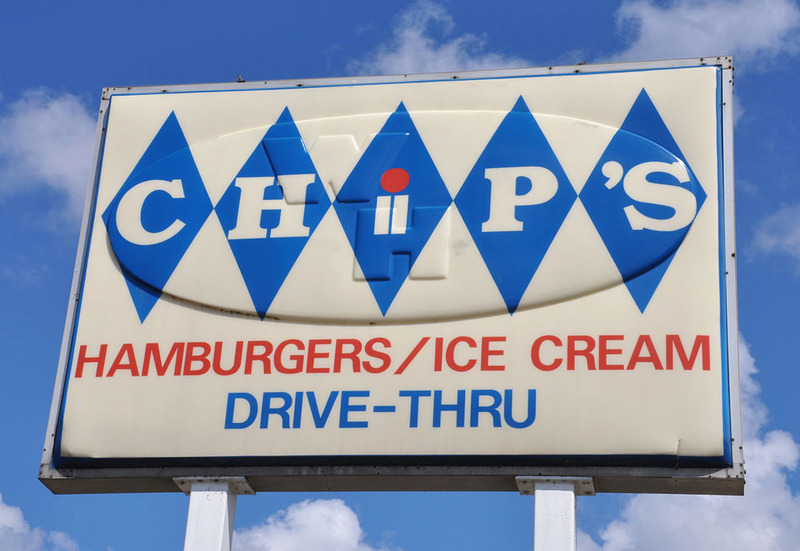 Chip's started out as a Southern chain with headquarters in Rocky Mount, NC. 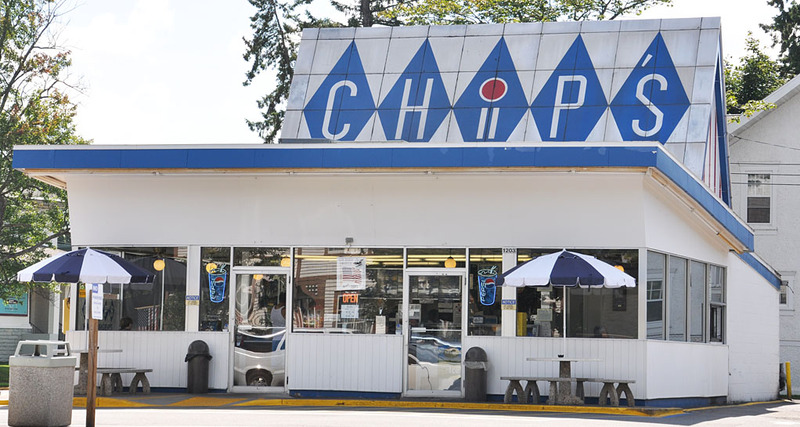 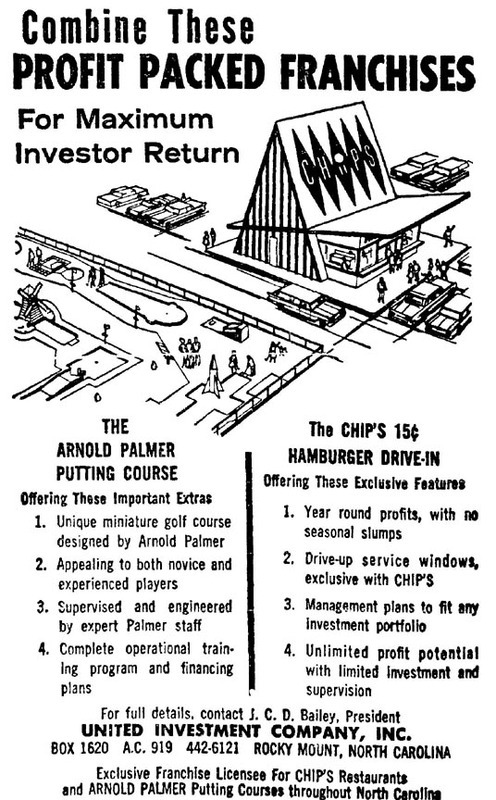 The Chip's building design was tradedmarked in 1964. 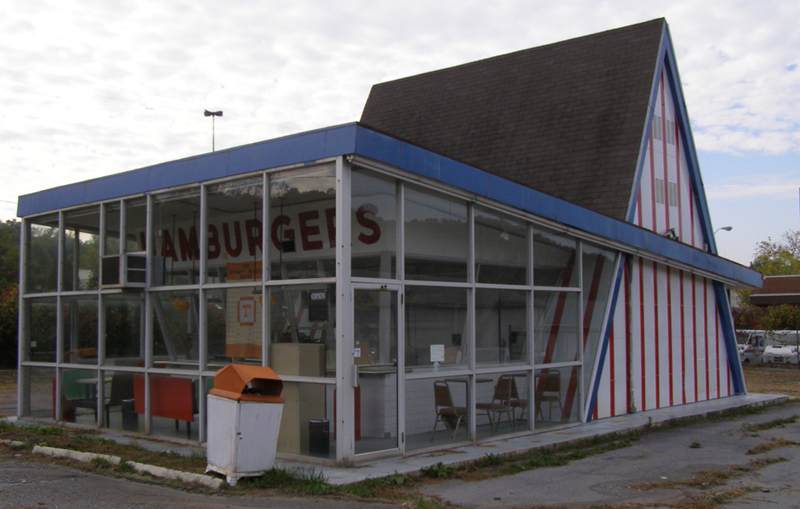 There were approximately 150 locations built. 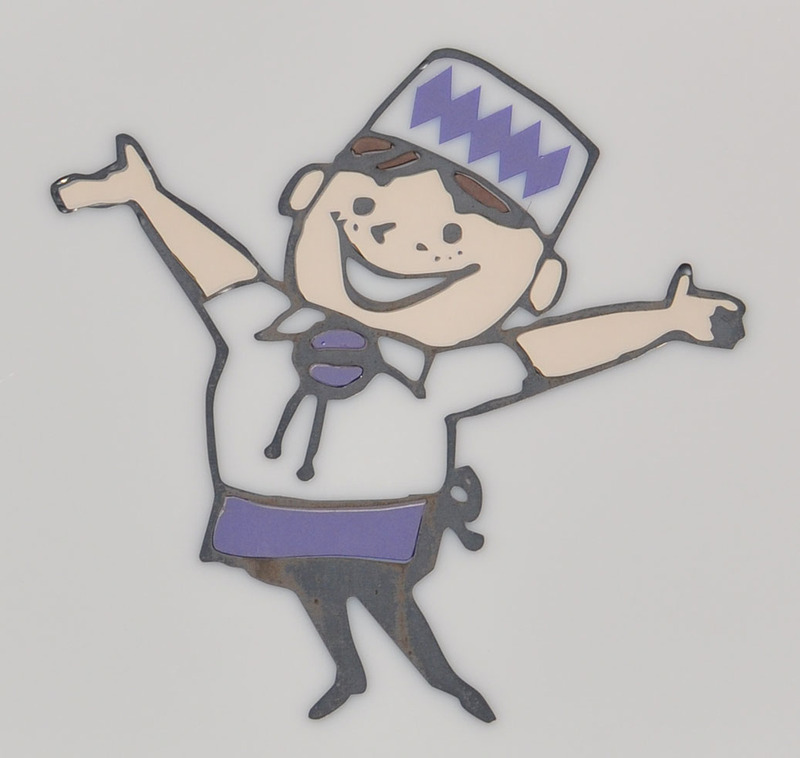 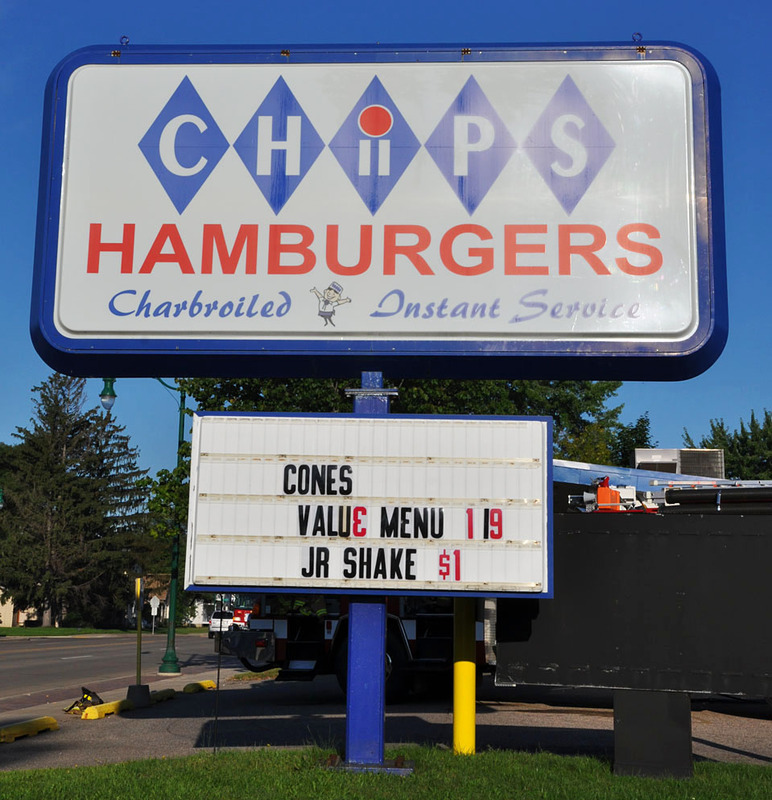 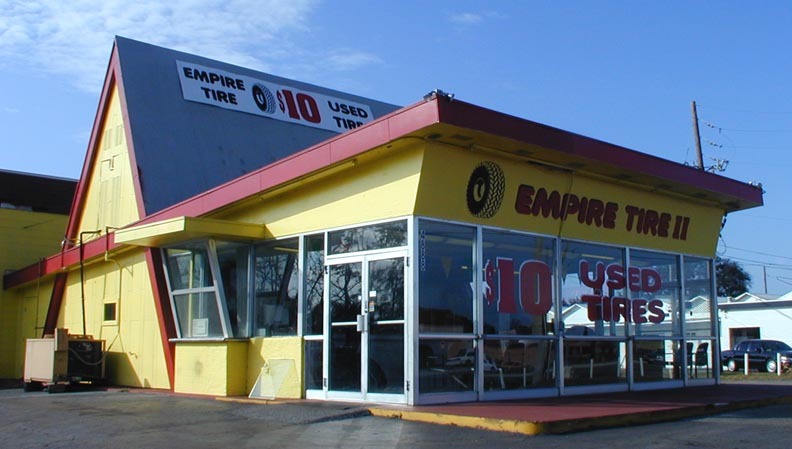 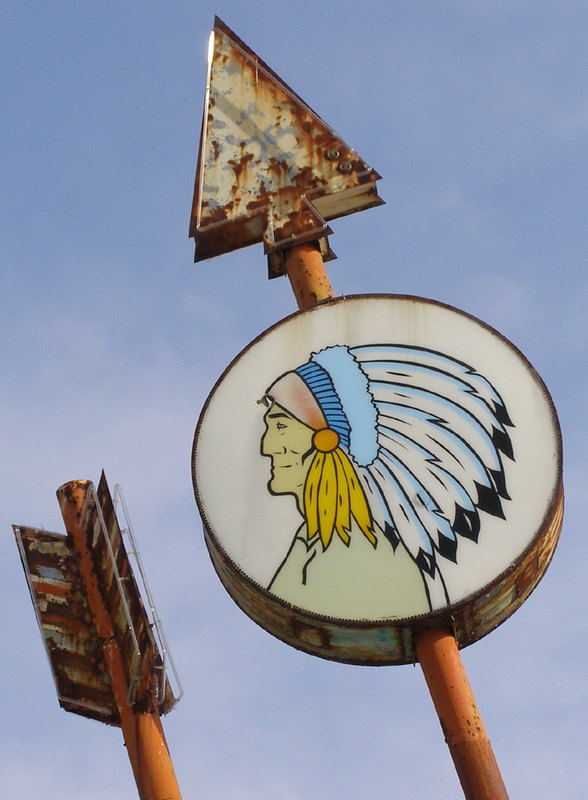 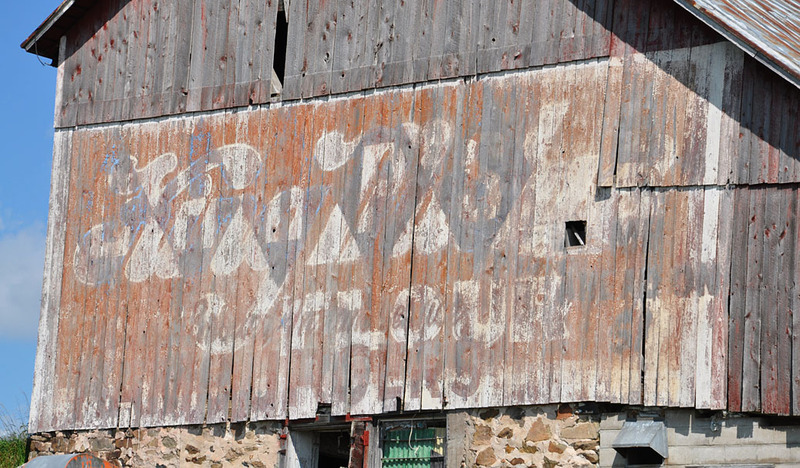 When Chip's filed for bankruptcy in the mid-1960s, the company sold its franchising rights to a company in Wisconsin. 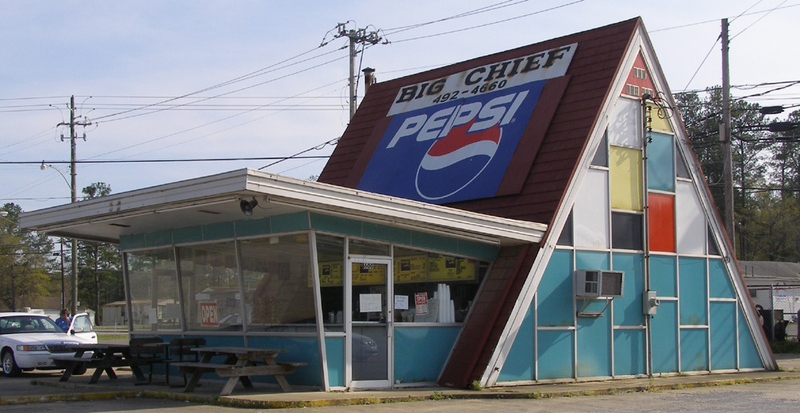 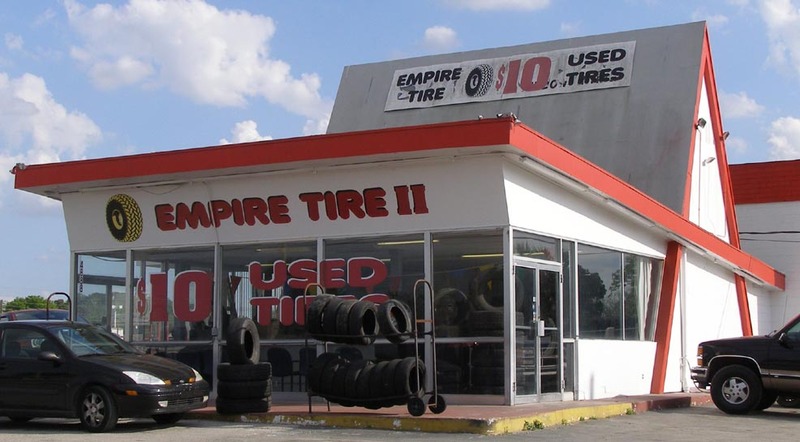 There are still two remaining locations operating in that state. 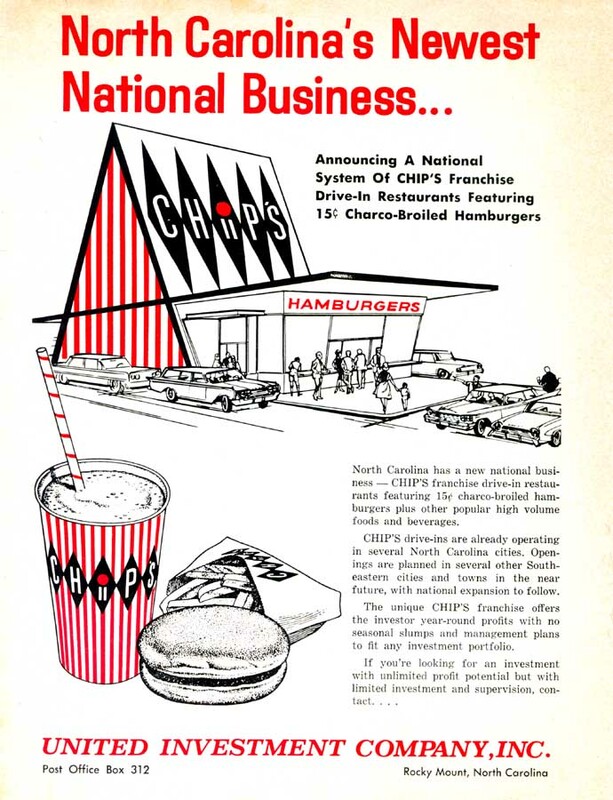 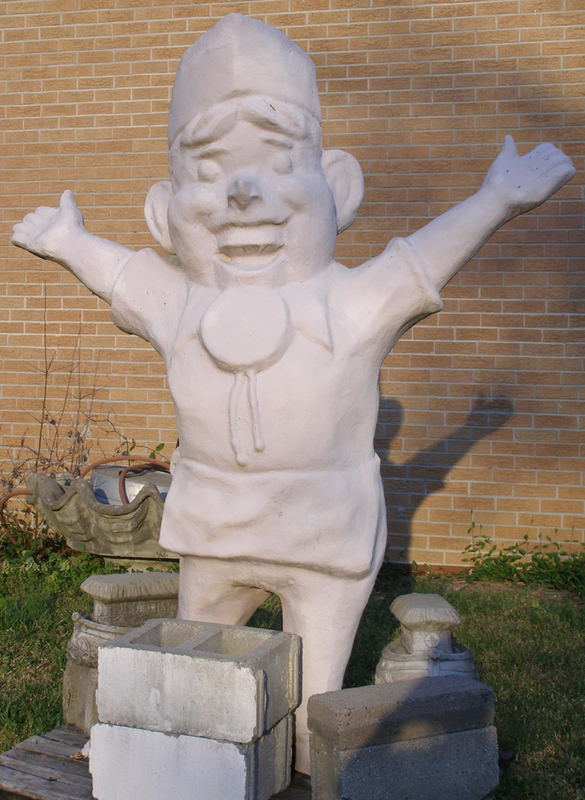 Chip's Durham and Raleigh buildings were taken over by Hardee's in the late 1960s. 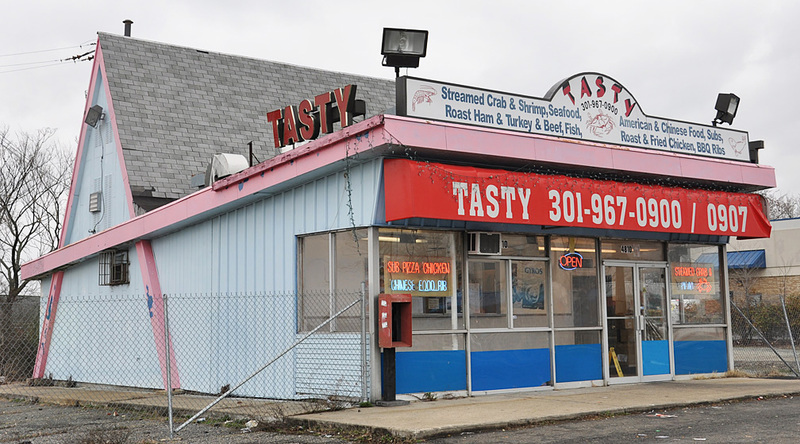 Ed's In-Town Deli occupied this former Chip's when these photos were taken in 2010. 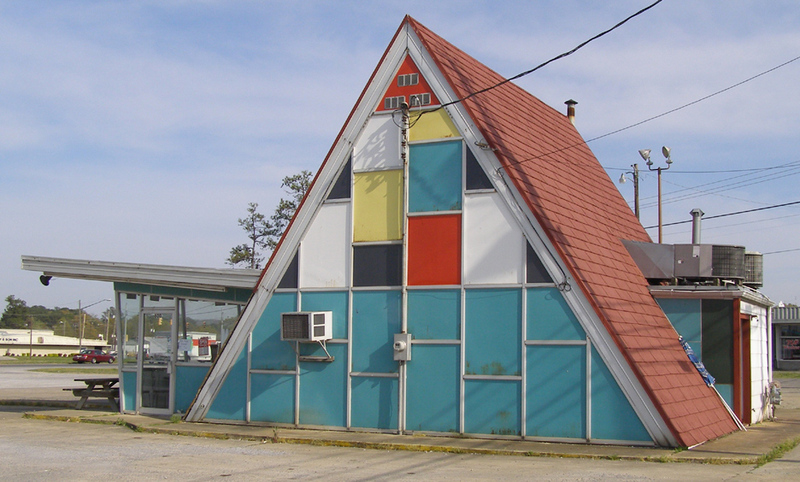 The building in front of the A-frame had obviously been expanded. 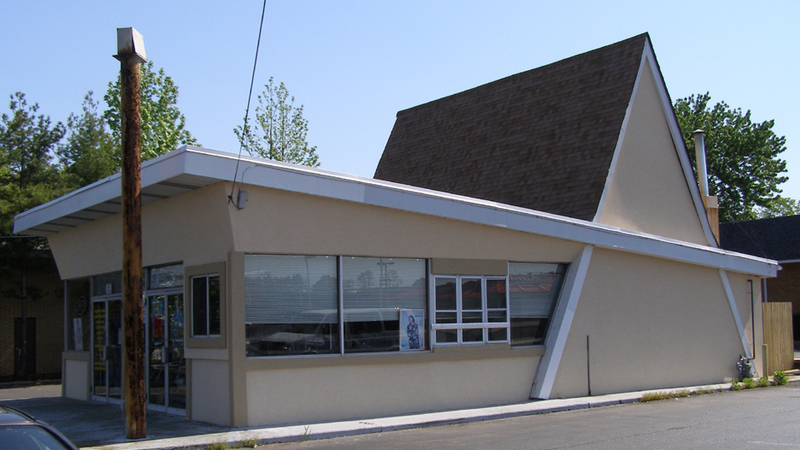 By 2014, the building was either entirely gone and rebuilt or remodeled without a trace of the original building. 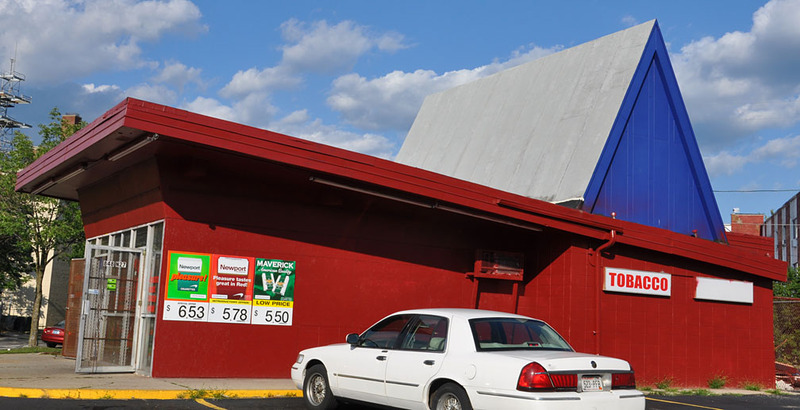 The sign is also gone. 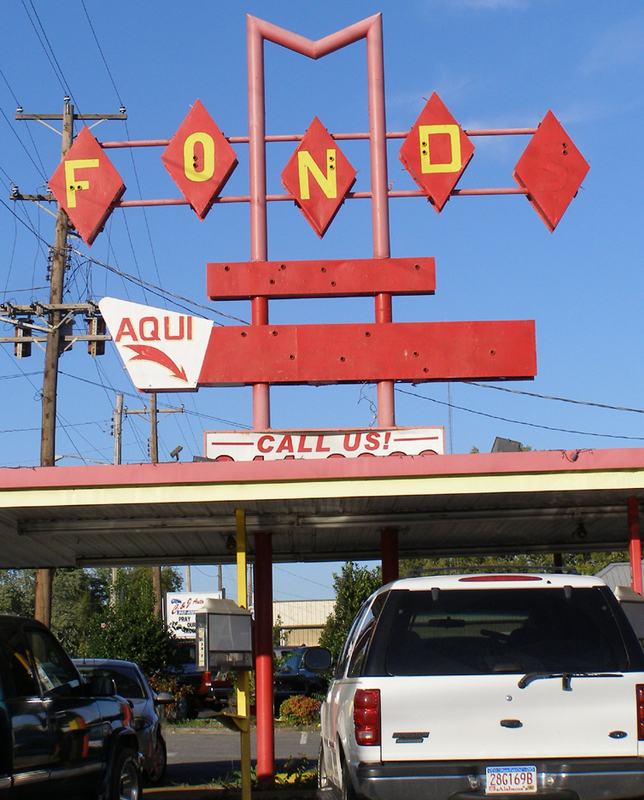 It is believed that this La Fonda restaurant was built as a Jack's restaurant. 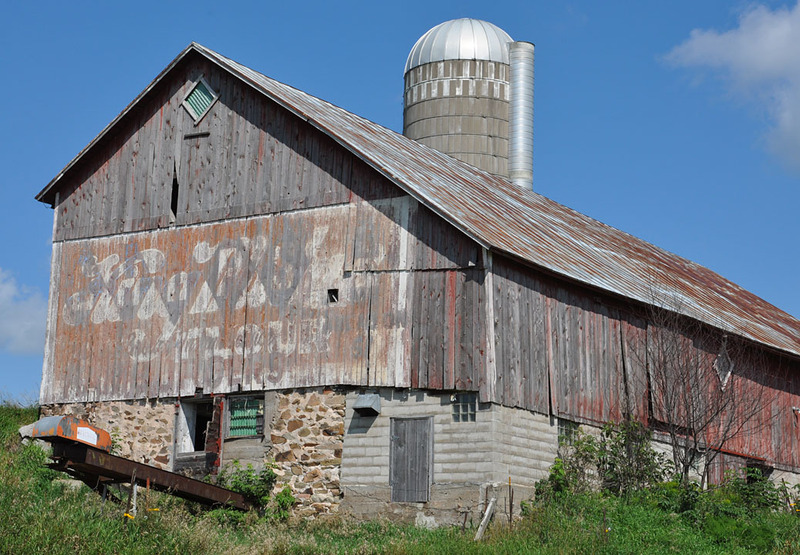 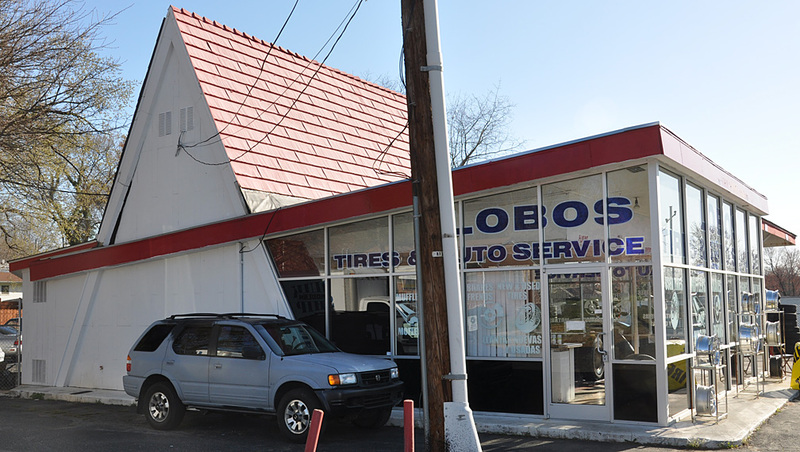 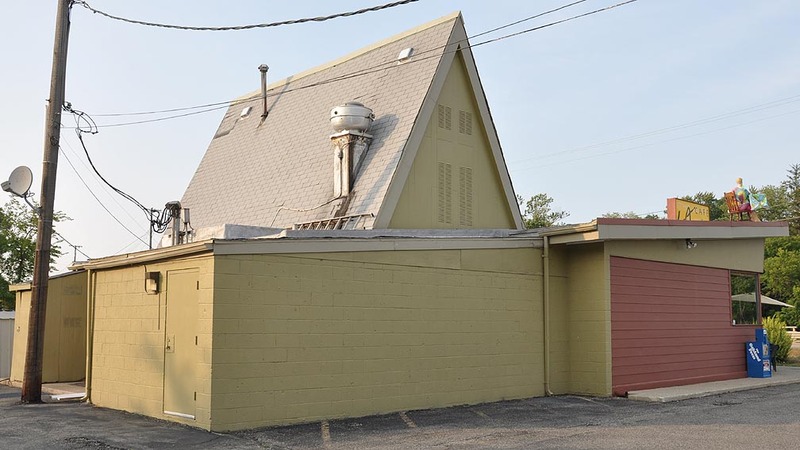 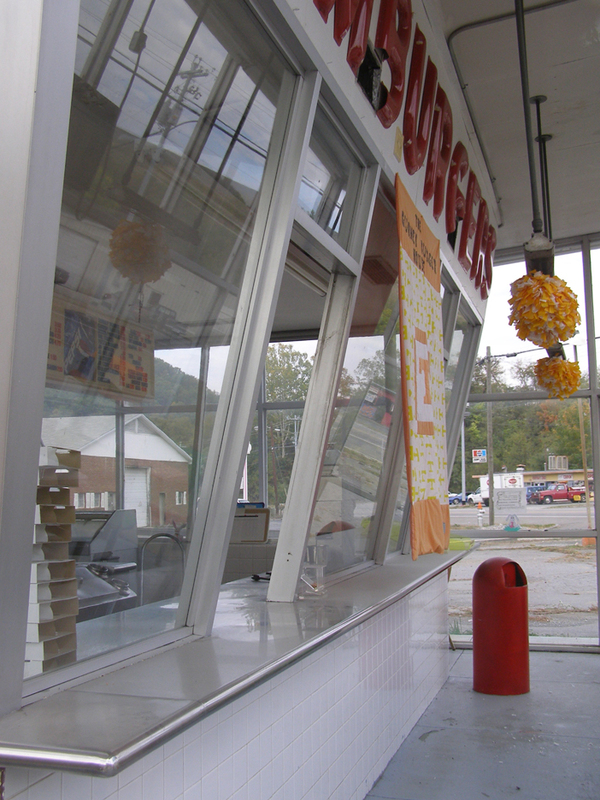 The current owners believe it was built in the early 1950s. 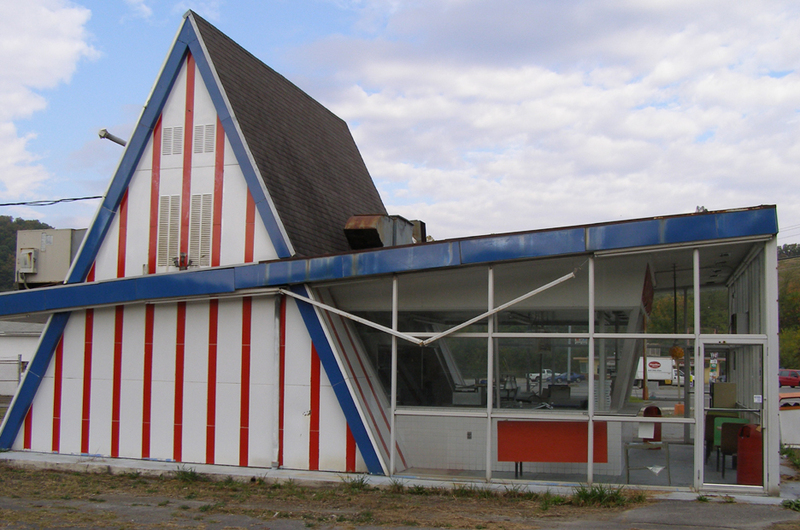 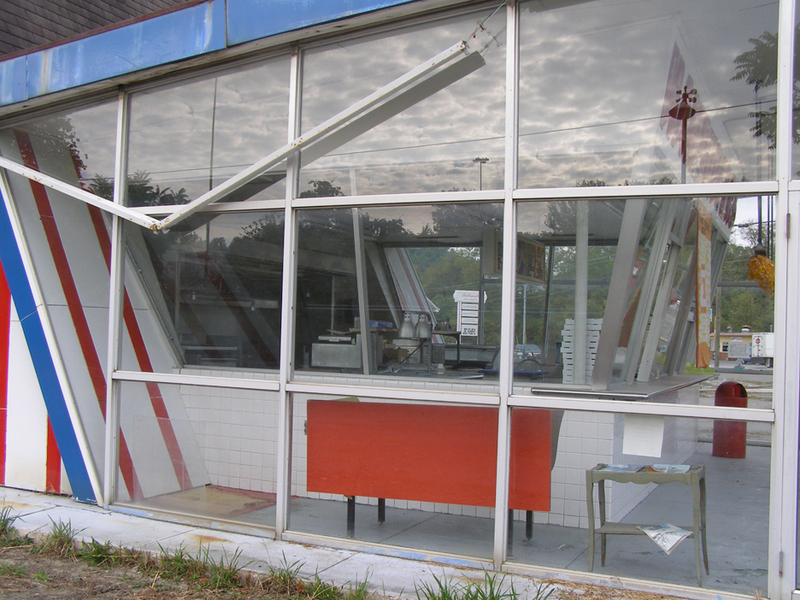 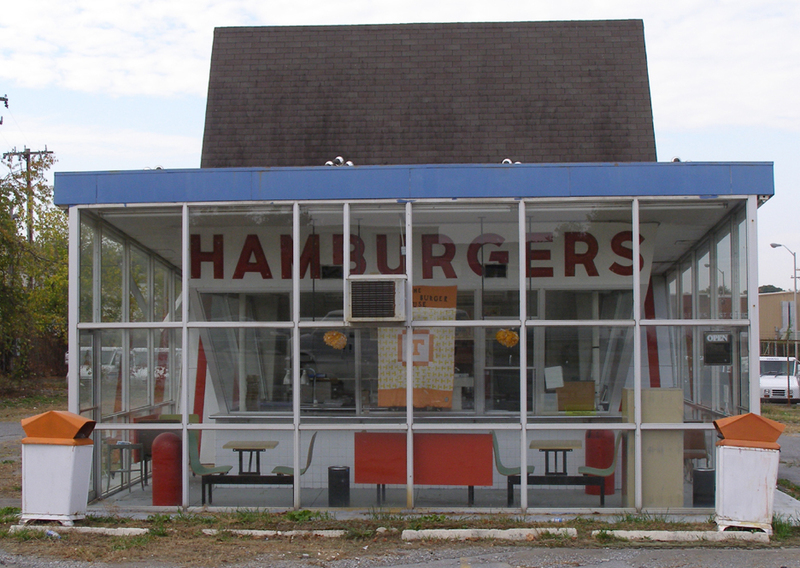 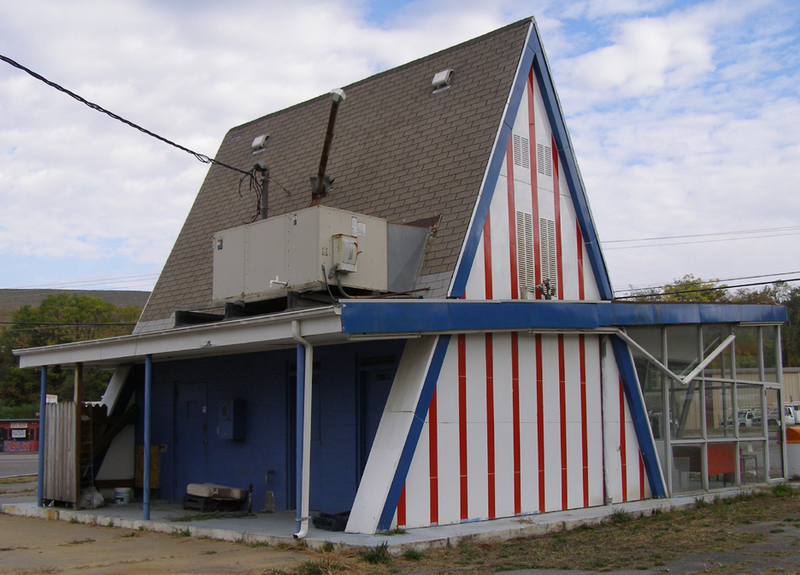 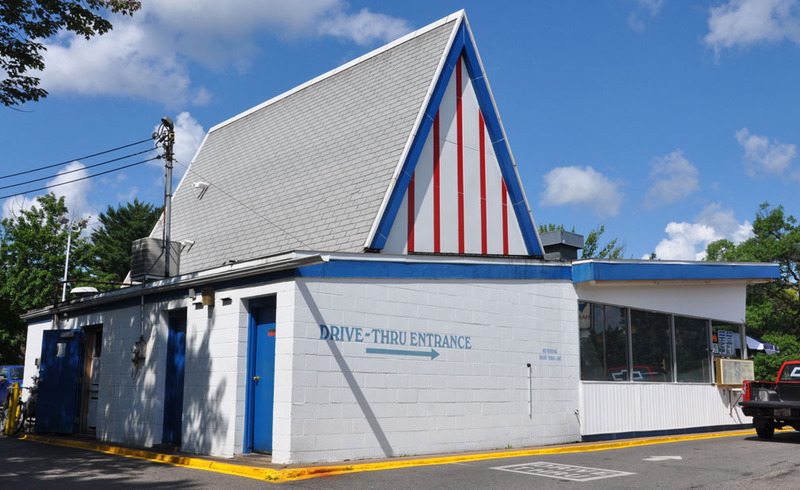 However, A-frame fast food restaurants don't really begin to appear until the late 1950s. 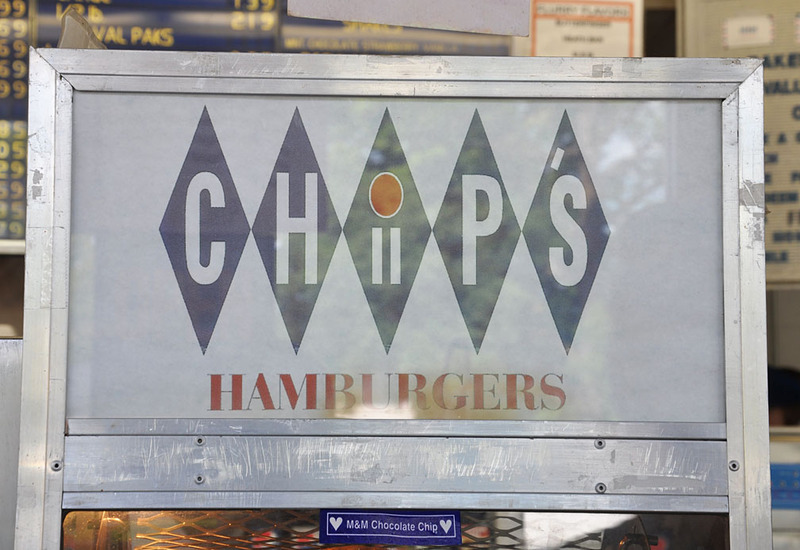 The lettering on this freestanding sign was changed with the name change.